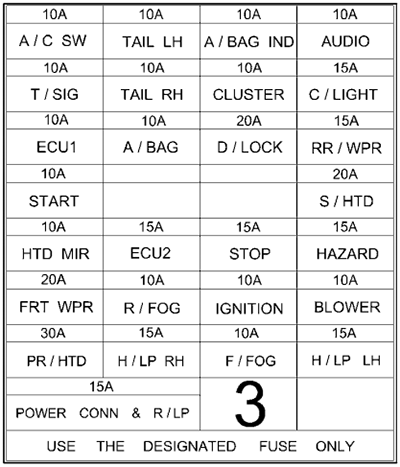 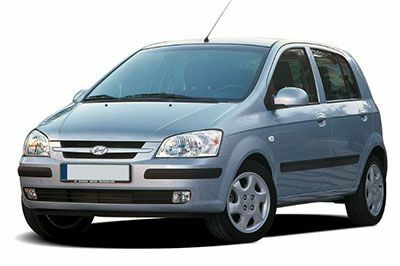 Fuse box diagram (location and assignment of electrical fuses and relays) for Hyundai Getz (2002, 2003, 2004, 2005). 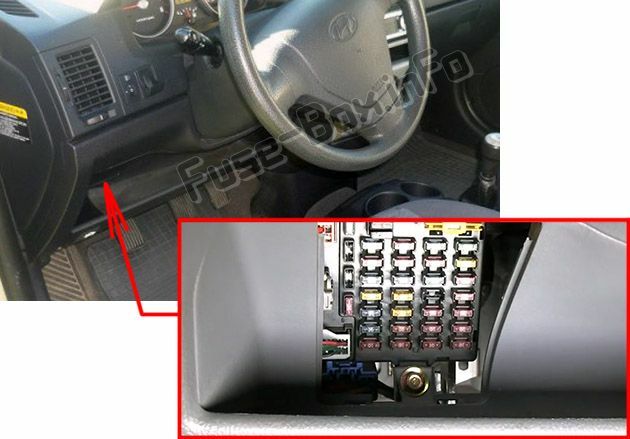 Inside the fuse/relay panel covers, you can find the fuse/relay label describing fuse/relay name and capacity. 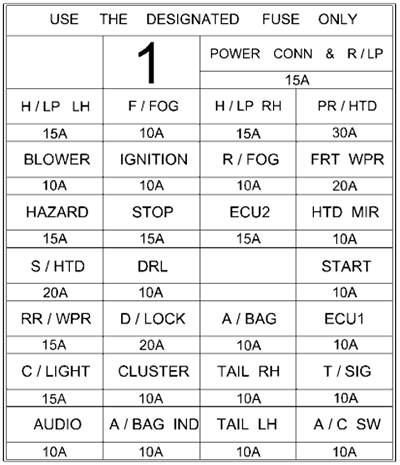 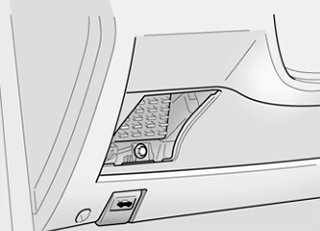 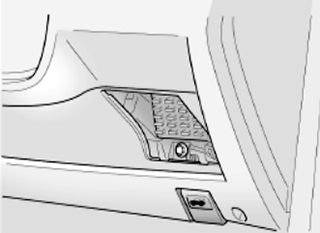 Not all fuse panel descriptions in this manual may be applicable to your vehicle. 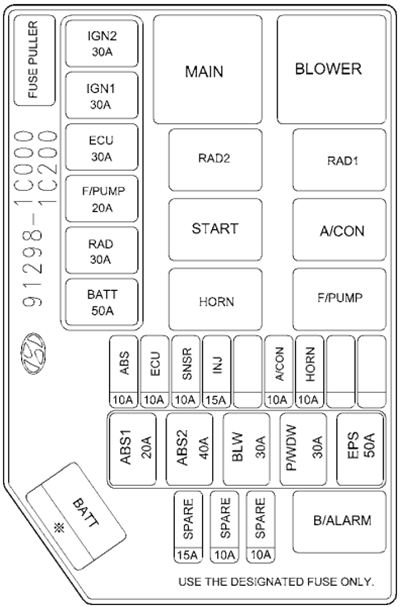 It is accurate at the time of printing. 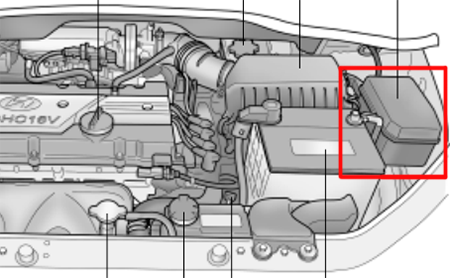 When you inspect the fuse box on your vehicle, refer to the fuse box label.